The holidays have traditionally been a special time for Etsy. 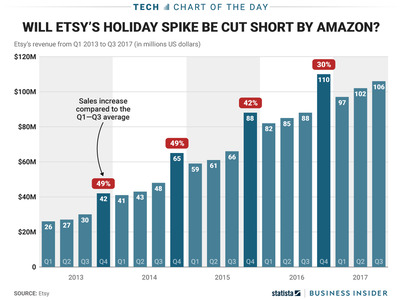 As is the case with many retailers, Etsy’s sales tend to spike during the holiday shopping season. But for the purveyor of handmade goods, the jump in sales has usually been especially dramatic, as we can see in this chart from Statista. To spur another big year, the company recently added some new features to its site, including a gift finder service, a gift-wrapping option, and free shipping on selected items. 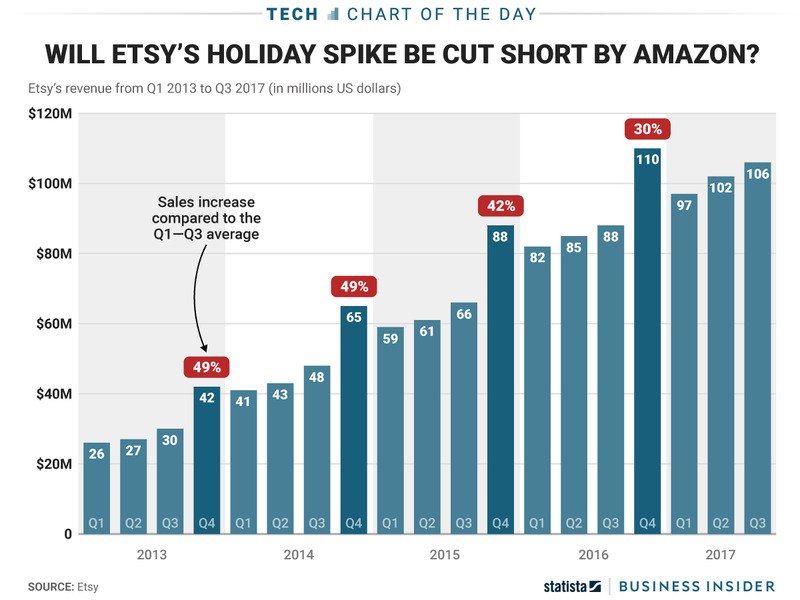 However, Etsy’s ability to reprise its holiday good fortune is an open question now that Amazon is aiming for a bigger piece of the homemade goods market. The e-commerce giant announced this week that products from its Amazon Handmade site will be available via its Prime Now delivery service until Christmas Eve. Late shoppers can use that option to place an order and have their gifts delivered within one or two hours – in plenty of time for Santa. That’s great news for Amazon customers, but maybe not for Etsy.